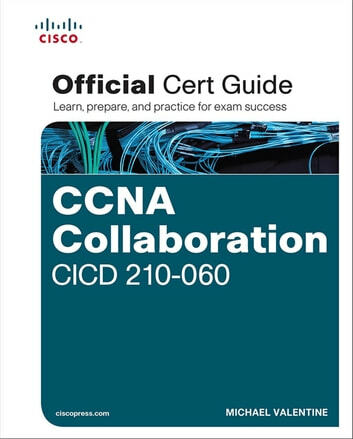 ** CCNA Collaboration CICD 210-060 Official Cert Guide** from Cisco Press enables you to succeed on the exam the first time and is the only self-study resource approved by Cisco. Long-time Cisco expert and trainer Michael Valentine shares preparation hints and test-taking tips, helping you identify areas of weakness and improve both your conceptual knowledge and hands-on skills. This is the eBook edition of the *CCNA Collaboration CIVND 210-065 Official Cert Guide. *This eBook does not include the companion CD-ROM with practice exam that comes with the print edition.